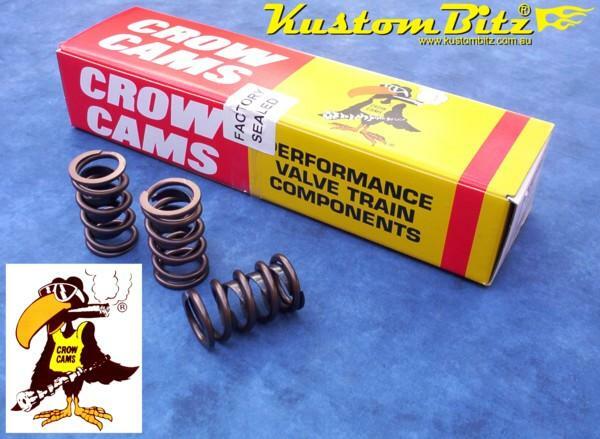 Part# CC-7738-16 : Crow Cams performance valve spring to suit the 289, 302, and 351 Windsor Ford V8 engines. These valve springs also suit the crossflow six cylinder engines and Cleveland engines but the installed height is different. Specifications; 1 Spring + inner damper, LH outerspring, outerspring diameters OD = 1.475" & ID = 1.060" inch, inner damper ID = 0.930" inch, Spring rate = 350, Free height = 2.155", Installed height = 1.800" inch, Installed seat pressure = 115lbs, Pressure @ 0.500" inch lift = 280lbs, maximum lift = 0.640" inch, Solid spring compressed height = 1.140" inch, must use performance retainer 11700 and valve locks 11701. NOTE: These valve springs will suit other engines, we have just chosen to list them by engine type to make it easier for you to browse. Obviously if you know your installed height, spring diameter, maximum lift of your camshaft, the spring pressures you are looking for, etc. Then you can select any of the valve springs we have here on or web site for your application. IMPORTANT NOTE: Please ensure you select the right valve springs for your engine. We have structured our web site to allow you to make an informed decision on what you are buying, so we encourage you to be thorough. 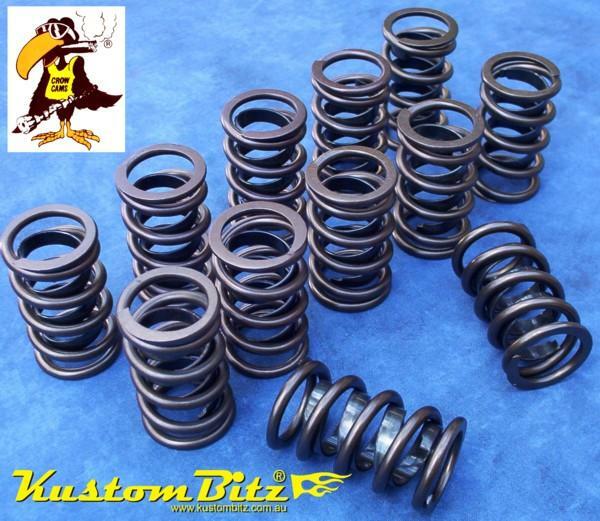 KustomBitz will change over valve springs if you order the wrong ones and they are not used in anyway, however it will cost you a 35% restocking fee plus the additional cost in shipping. IMPORTANT: Ford Windsors installed hieght may vary from 1.700 inch to 1.800 inch, so please ensure you order the right springs for your heads, other wise extra machining on your heads may be required.